Our Congregation's volunteers, lead by J.T. 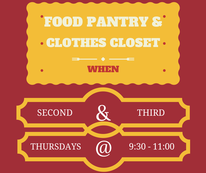 Beard, Deacon, live out Matthew 25:37-40 by providing essential food items and clothing from 9:00am - 10:30am on the second and third Thursday of each month. These resources are available to individuals outside of our scheduled distribution times, if a need arises. In addition to being fed and clothed physically, recipients are fed spiritually by a devotional presented by J.T. Beard, or Jim Estes, Associate Minister and Elder. This ministry is supported financially from the congregation's weekly offering as well as by others, both within the Congregation and the local community, who donate either pantry items or financially on an ongoing basis. Our weekly bulletin lists the pantry item of the week. 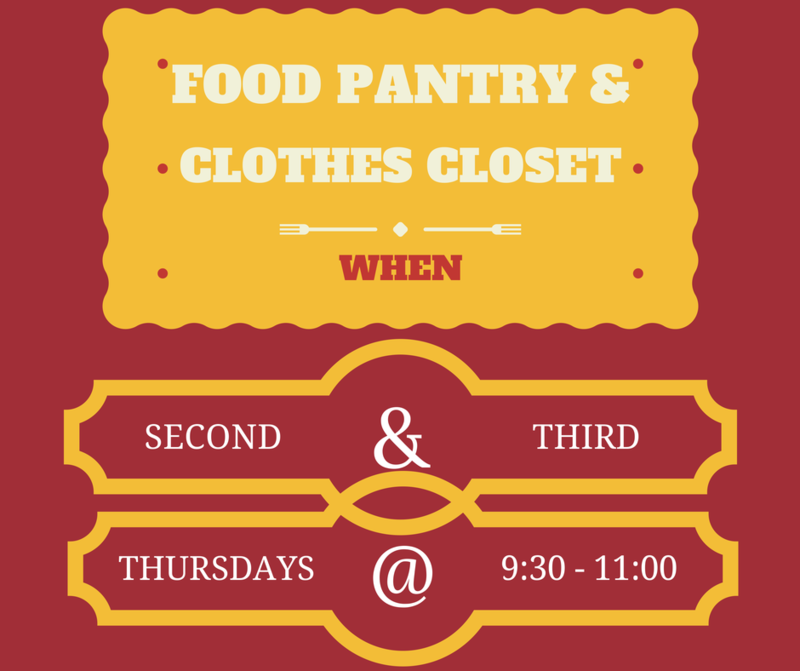 Items can be placed in the grocery cart located in the foyer each Sunday. Tommy Baragona and Jim Estes, are tasked with addressing benevolence requests. In addition to support from regular contributions, a special contribution occurs on one fifth Sunday of the year where the entire contribution is designated for benevolence purposes.